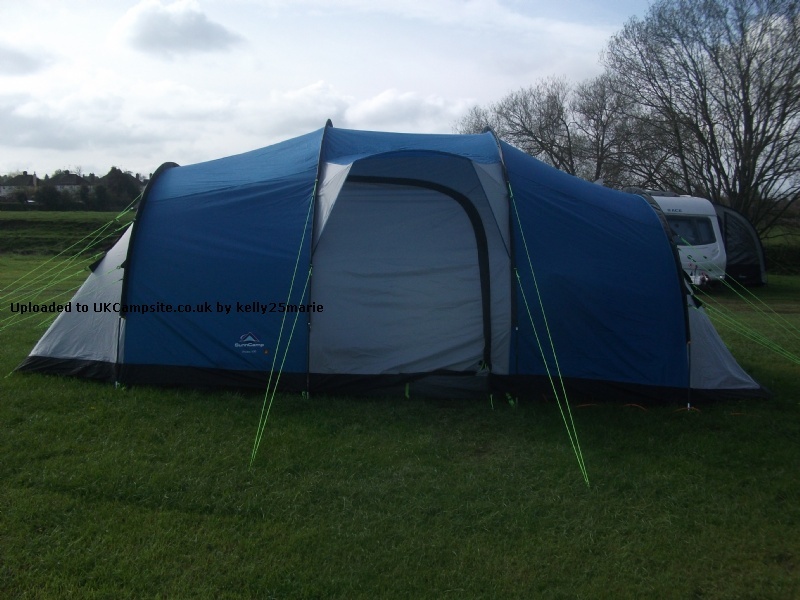 We have had the Sunncamp Shadow now for a few years, we bought this second hand for the Rewind Festival up at Perth Scotland. For 3 days we had Heavy rain, wind and very hot weather (That's Scotland for you :-)). 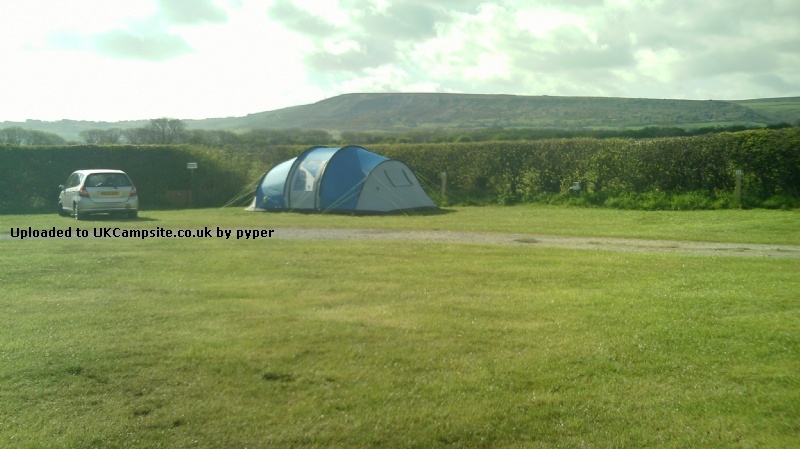 The following month we camped at Brigg-house Bay Dumfries & Galloway were we had heavy rainfall and high winds for about 4 hours followed by blue skies. This year we camped at Peebles Scotland were it hammered down rain for at least 6 hours each night. I can honestly say that the tent has been a great purchase, not a millimeter of rain has never leaked through and it seems to withstand quite high winds so no negative points from me. This is the second season using the tent and it has been fantastic. It has seen sun, rain, wind and loys of mudand its still like new. 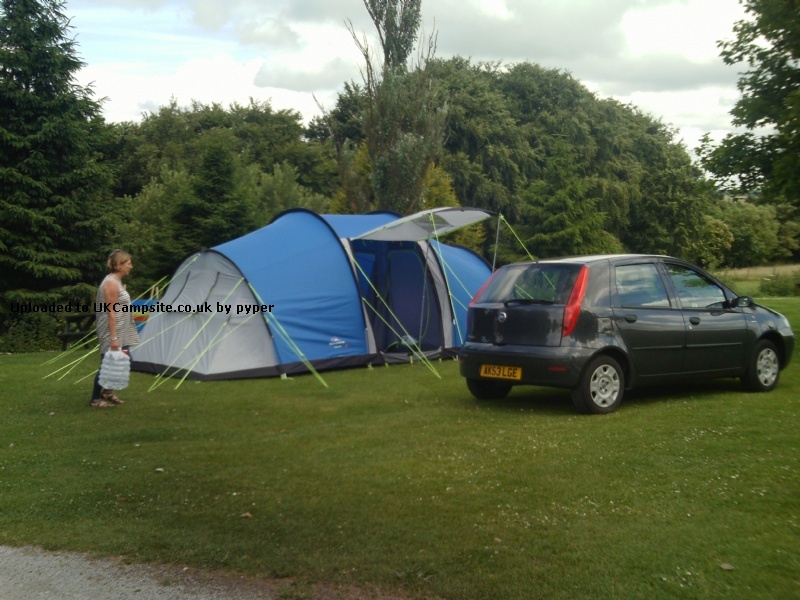 The tent is quick and easy to put up and take down, and once you know how to fold it, it fits back in the bag easily. 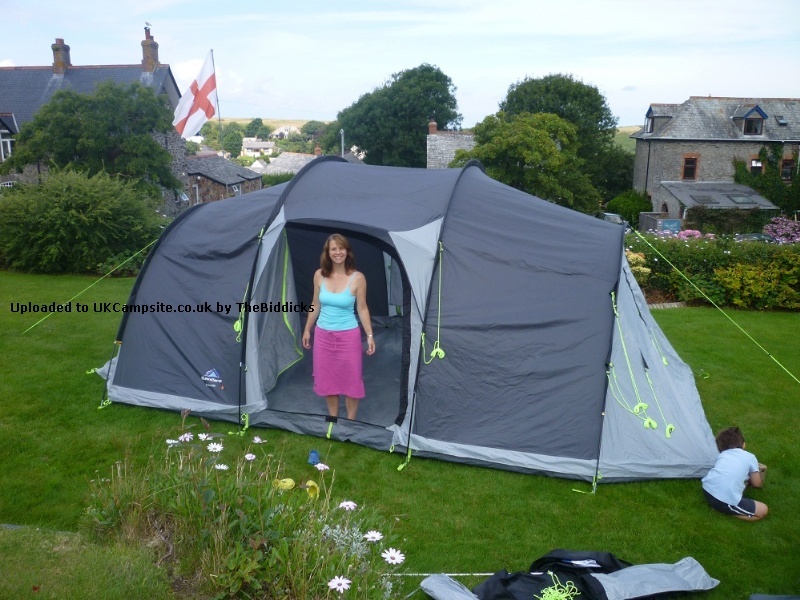 I love this tent (and my friends are all very impressed by it too) and would recommend it. This is the third season we have used this tent and I am still impressed by it. My wife and I use it and so does my daughter and family so it has had a fair bit of use. We have not had any leaks. I have had to replace one section of a pole that split under very strong windy conditions. 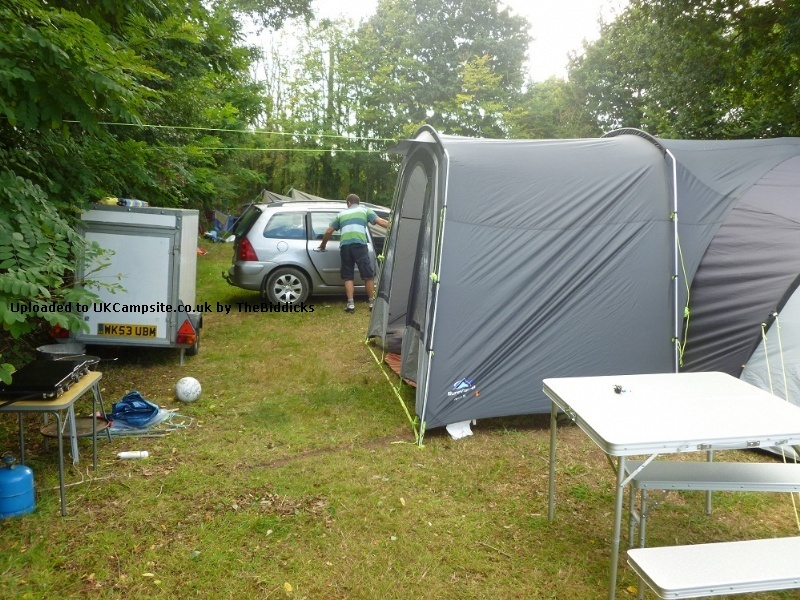 The room in the tent is vast, we don,t put up the three bedrooms no need when there is only two of us. Maybe just one little niggle - the rear door with the eyebrow porch the zip seems under a lot of tension but we don,t really use it so not a big problem. 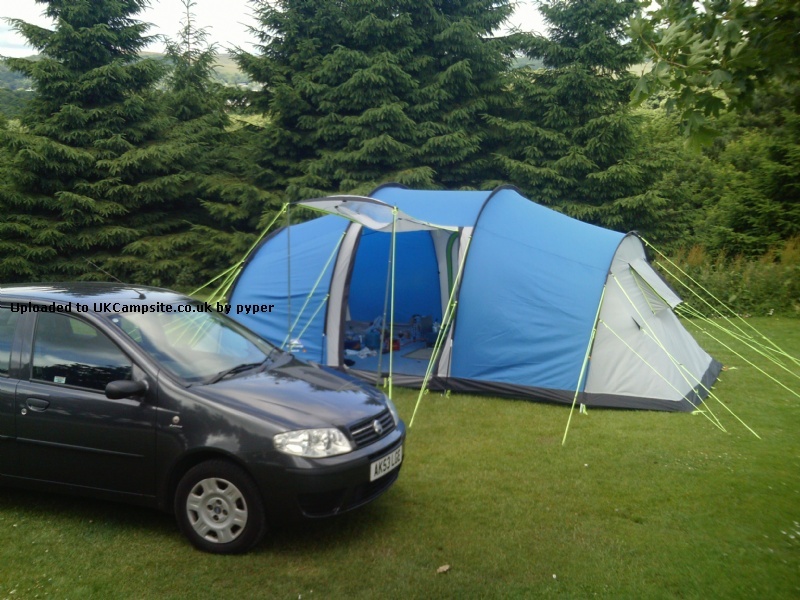 Bought this tent to use when we adopted our son, it has a very spacious living area which we have easily fitted in cooking area, table and chairs and still had room. 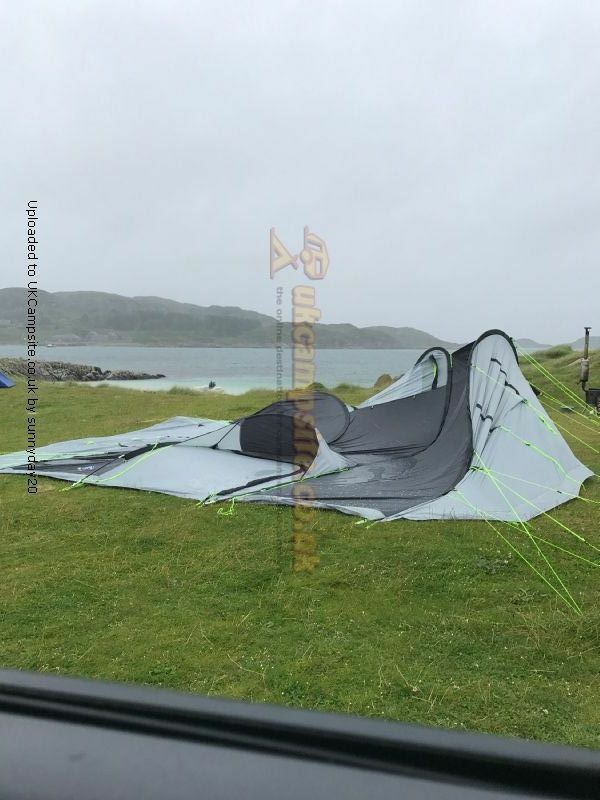 I love the fact that it has a built in ground sheet and as long as it is pegged down properly and once you have things in there you have no problem with wind. Although it says it is a 6 berth I'm not sure how you would fit 2 people into the small bedroom unless they were 2 small children, we have tended to use that room for storage. The other 2 bedrooms easily fit a double or 2 single air beds in. 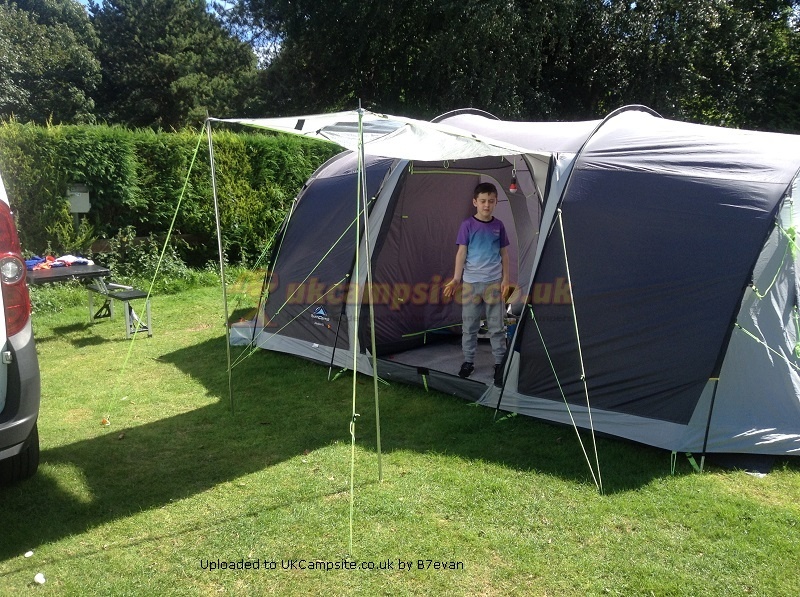 My husband and I can easily put this tent up between us, on out last trip it was just me and my 8 year old son, the only difficult part was erecting the four poles, but once he had the hang of how to hold the pole so I could get the other end of the pole in we were ok.
Would recommend this tent, but only as a 5 berth in my opinion. 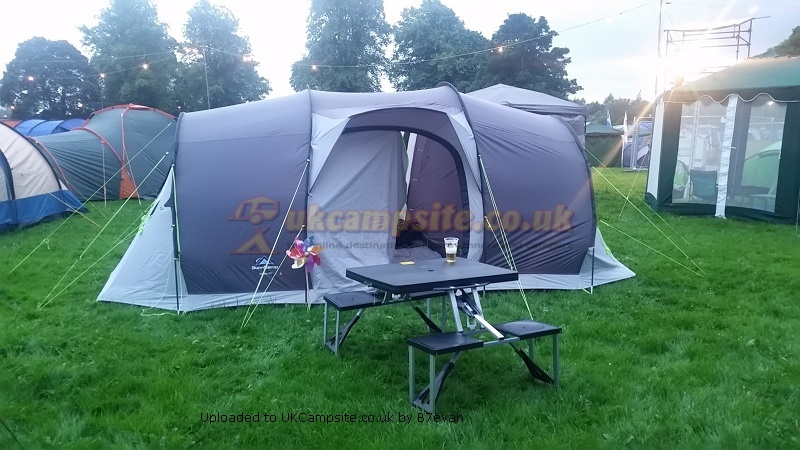 Bought this to replace our old sunncamp and have been delighted with it- easy to erect, plenty of room, has withstood a lot of wind and rain and not a hint of leakage! bought the verano porch and it now feels like Buckingham palace!We have had very little issue with fitting everything back in the bag- although it does take two people squeezing the zip together sometimes. 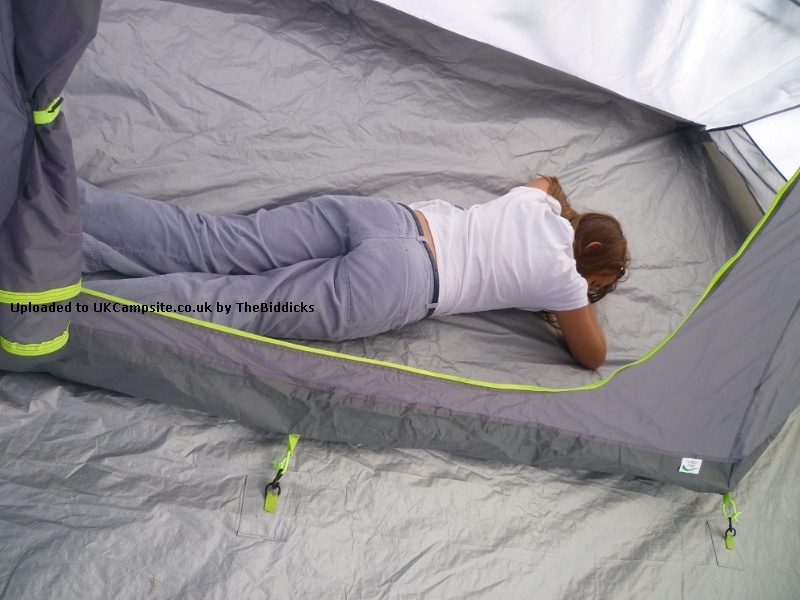 The pods are a good size easily fitting a double airbed in, and the two pods which hang side by side have got good head room- the single pod you are only able to kneel up in-but our 12year old daughter loves it! 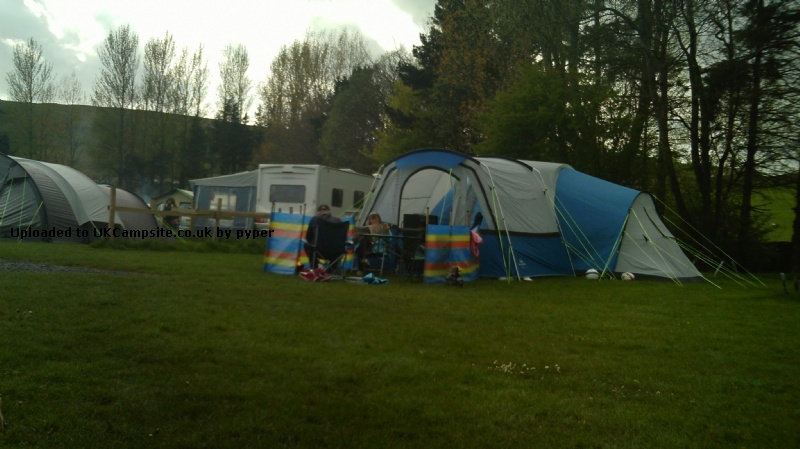 All in all a great family tent- would thoroughly recommend! We purchased our Shadow 600 for short breaks as we already own a Sunncamp 12 berth which is a little too much effort for a couple of nights. 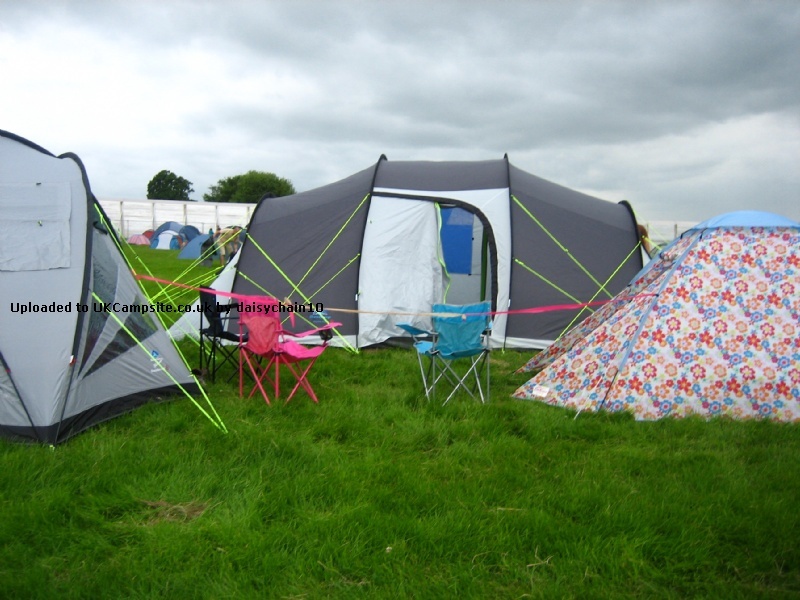 We managed to get the tent up quite easily in quite a gusty field ( I know they all seem to be!). Plenty of room for cooker,table, chairs should you want them. Everyone could stand up without touching the roof. We did have slightly more fun getting the tent packed back in the bag. When trying to roll it round the poles to get the air out it just seemed to trap the air. We ended up opening the doors and rolling form both ends to centre and finally rolled against each other to the end! This on quite a calm day. 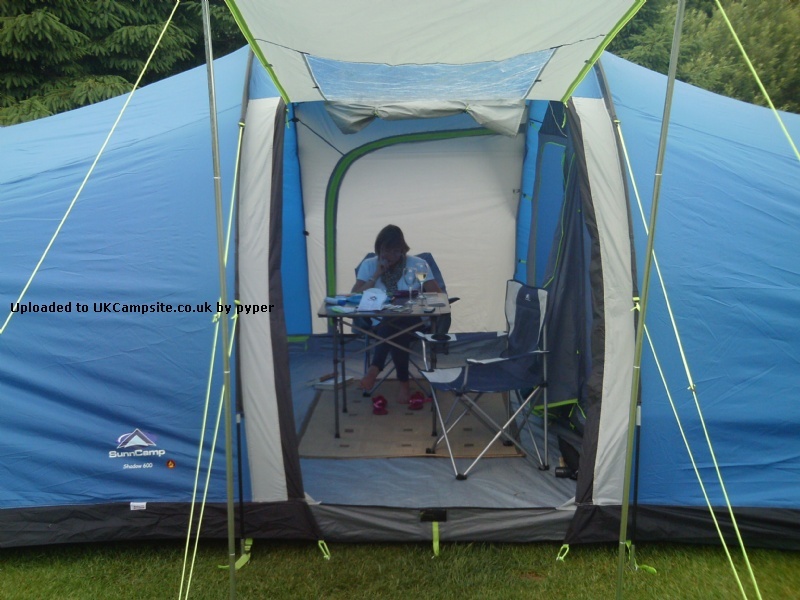 Upgraded this year from our very trusted Sunncamp Odyssey XL and extremely pleased. Having had a Sunncamp for the past 7 years we wanted to stick with Sunncamp as we knew it will withstand terrible wind and rain. Generally it is only the two of us with a four legged friend that camps but having two sons and never knowing when they may turn up out of the blue for a Barbie around a camp fire and a couple of beers we always feel we need to 'put them up' at a drop of a hat the three bedrooms were great. So this year when one son came with us and the other turned up with his partner there was plenty of room for all and table/chairs, a couple of large stack n store boxes and holdalls. Had a few heavy showers during July which ran off nicely and dried quickly with a little sun early morning before pack up. Set up is quick and easy with 2 people, but for pack up, and a little tip - make sure the doors are open before removing poles. Highly recommend this tent. A very reasonable price too. Fantastic tent. Bought last minute and it was so easy to put up and very comfortable to live in! We managed to fit in all childrens toys table chairs and toilet and we still lived comfortably in it. Can't wait until we can use it again! Our kids found it fantastic and felt very grown up having a bedroom of their own. Our dog also got a bedroom of her own and loved every minute of it! So easy to use and take down again. Roll on next year so we can use it again! Add your review of the Shadow 600!